6.) 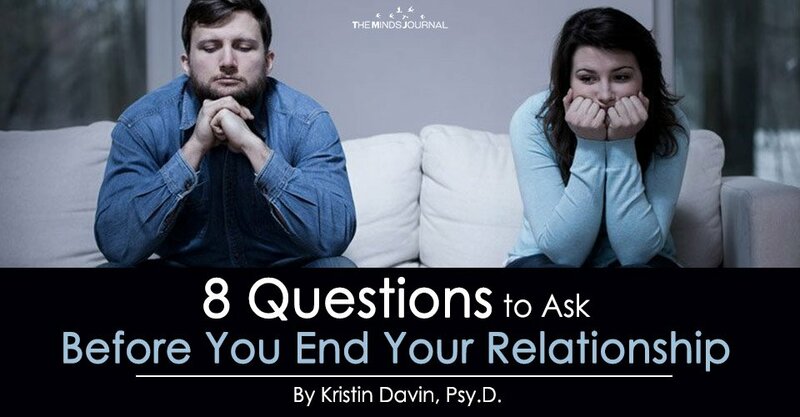 What would be the biggest loss if you chose to leave the relationship? In long term relationships, couples have invested significant time together. Although that’s not a reason to stay (by itself), time represents the history and why it’s important to at the very least give yourself the necessary time to make the best and informed decision. 7.) If I had my “perfect” relationship what would that look like? Each person in the relationship must be willing to make individual changes to grow and thrive. It’s the only way couples work through issues so they can get on the other side of them and flourish. 8.) What are two or three changes that I need to make to improve the relationship? How likely am I to make these changes? Am I invested in making those changes? Change starts with each person. We must be able to look at ourselves and recognize where we can change, compromise, and demand more from ourselves so ultimately the best version of ourselves shows up. It’s as simple as that. 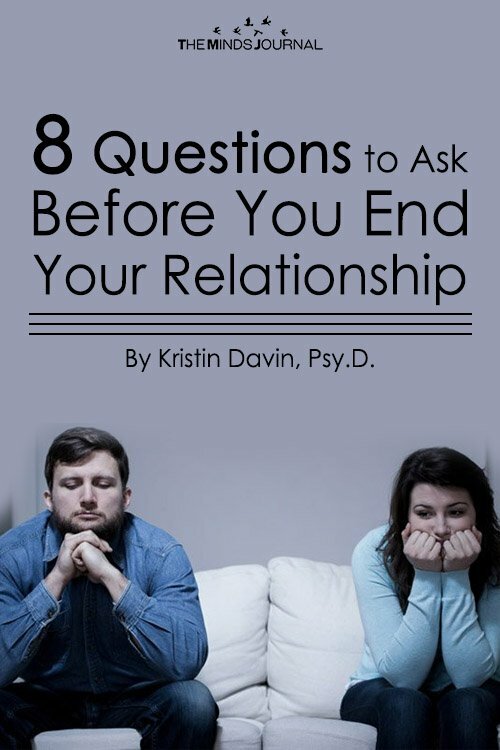 I recognize that ending a relationship is rarely an easy decision. Heck choosing to stay presents its own challenges, too. However, what I do know is putting the time in at the front end and asking yourself these questions, will help you at the back end. And will ultimately help you make good, well-informed decision – whatever direction you choose to take.